Summer in Japan is fantastic! Sure, the weather's hot, but the scenery's beautiful, and there are more local festivals and reasons to travel than you can shake a stick at. But no summer is complete without getting your groove on at one of Japan’s major music festivals. With plenty to choose from, we’re here to help you find the perfect one—or ones! The Greenroom Festival is an annual festival held in Yokohama, near the harbor in the city’s Minatomirai area. The festival, started in 2005, is dedicated to beach and surfer culture, with an emphasis on protecting the ocean for future generations. Greenroom’s focus isn’t only on music, of which there is plenty, but also on film and art of all kinds. There's also an open-air market. It takes place a bit earlier than other events on the list, usually a weekend in mid-to-late May, over the course of two days. 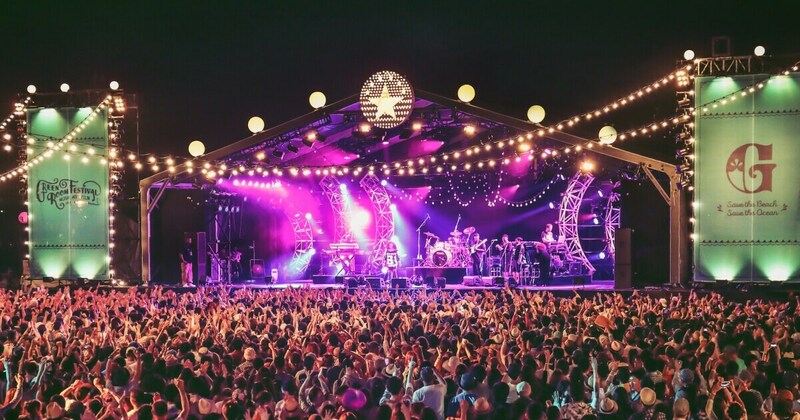 Perhaps the festival most off the beaten path, the Miyako Island Rock Festival takes place on Miyako Island, the fourth largest island in Okinawa Prefecture. This is another festival dedicated to enjoying the gorgeous ocean views and idyllic nature of the area, and offers a variety of waterside shopping opportunities to enjoy while killing time between the variety of Japanese artists in the lineup. The event takes place in mid-June, and is a great reason to visit an incredibly unique part of the country. Inspired by the world-famous Glastonbury Festival, and named after its inaugural show held at the base of Mount Fuji in 1997, Fuji Rock is THE summer music event in Japan. The first show was originally scheduled for two days, but the first day was washed out by a typhoon, leaving many festival-goers in need of medical attention. Subsequently, the second day cancelled, despite fair weather. The organizers of Fuji Rock, Smash Japan, learned their lesson and traded in the searing heat and temperamental weather of central Japan’s summer for the relative coolness of the mountains, and it now takes place at the Naeba Ski Resort in Nagano Prefecture, just a couple of hours outside Tokyo by bullet train. 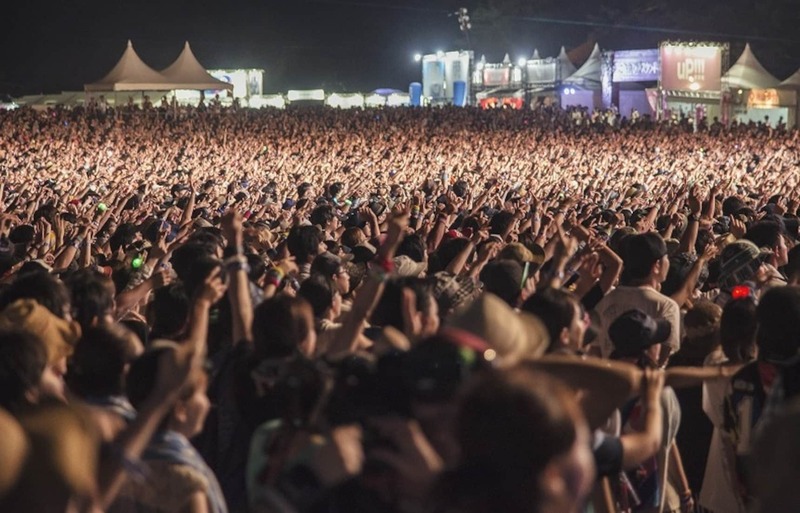 The three-day festival features some 200 bands of both international and Japanese acclaim, and recent shows have attracted over 100,000 attendees. For more information, including this year’s lineup, check out their website. The Oga Namahage Rock Festival takes place in Oga City in Akita Prefecture, in northern Japan. The city of Oga is famous for its Namahage Festival, a New Year’s event in which men covered in straw, wearing masks dressed as Namahage ogres roam from house to house. It’s from this very tradition the music event derives its name. The event spans two days at the end of July and—despite having rock in the name—features a wide range of Japanese artists from various genres, as well as an awesome drum show from the Namahage Drum Association, and a freestyle motocross show—perfect for gearheads. Held just north of Tokyo in Hitachinaka, Ibaraki Prefecture, Rock in Japan is one of the largest summer music festivals in the country. The event takes place over the course of two weekends in August, and features an incredibly large lineup of J-pop and J-rock groups, meaning that attendees will have plenty of tough decisions to make about which stage to visit, and when. Like other festivals, you’re welcome to camp in designated camping areas, and there are plenty of festival goods available for purchase. Just make sure to leave time to enjoy the seaside park in Hitachinaka. A trip to Hokkaido is a great way to beat the summer heat. And with the Rising Sun Rock Festival in Ezo, there’s even more reason to head to Japan’s northernmost island. Held in the small town of Ishikari, Rising Sun has been going on since 1999 and exclusively features Japanese bands in their performance lineup. Taking place over the course of two days, usually early-to-mid August, this festival is a perfect blend for nature and music enthusiasts as most attendees forego staying at a hotel to enjoy a weekend camping. The Earth Celebration is the brainchild of the Japanese Taiko drum group, Kodo, which has earned international acclaim since its founding in 1981. The group’s home base is Sado Island, in Niigata, which is also where it hosts its annual Earth Celebration event in late August. As the name would imply, the Earth Celebration is a gathering to celebrate world music from around the globe. Each year has a theme intended to explore the simple beauty of nature and music. Another mainstay of the summer music scene in Japan, Summer Sonic is a two or three-day music event held in August that takes place simultaneously in Osaka (in Japan’s Kansai region) and Chiba, the prefecture just east of Tokyo. The lineup consists mainly of Japanese and international rock and indie music acts, who play at one venue the first day, and then move to the second venue the next. The show has been going strong since it was established in 2000, with international acts like Coldplay, At the Drive-In and Radiohead headlining alongside Japanese heavy-hitters like Sakanaction, Mr. Children and Babymetal. The success of Summer Sonic has allowed showrunners Live Nation Entertainment to produce an EDM-centric offshoot Sonicmania, which has been going on since 2014. For information on who is rocking at Summer Sonic this year, visit the website below. Perhaps the most awesomely named festival on the list, Sukiyaki Meets the World started in 1991, and takes place in Nanto, a small village in Toyama Prefecture. It takes place over the course of a weekend towards the end of August, and offers a wide variety of programs to enjoy. As its name would imply, there is plenty of world music to enjoy from countries all over the globe, as well as kid-friendly workshops to attend, and a parade featuring both performing artists and local volunteers and residents. We’re heading back to Tokyo for the final entry on the list: an event known simply as Ultra Japan. Ultra Japan is a three-day EDM event that takes place in Odaiba, featuring industry heavy-hitters like deadmau5, Skrillex and Afrojack. As expected, the performances incorporate huge stages with elaborate pyrotechnics and light shows to accompany the pulse-pumping music. It’s worth noting that Ultra also hosts EDM events worldwide.